Okay, Cooper here. Just wanted to let you know some stuff. First of all I am now 17[18 tomorrow],I have been working for Azmuth for 36 months and I am dating Eunice.We at Galvan Mark II have been working on many new things for Ben's team to use.My little brother Connor lives with me and my Mom now. Why have you guys stopped posting pictures? Its been almost a month and 1/2 and absolutely noone has posted any pictures on the pictures page! Am i the only one who notices this? Because I liked seeing new pictures on a regular basis. So, try to work on that please. Here is a look at Bandai America's release of the Ben 10 Haywire Series. These are the Ben 10 Haywire Series of Toys by Bandai America, released in August 2011, and they each cost about seven dollars US. Each Ben 10 Haywire toy is about four inches tall, and includes a one inch mini figure that works with the Revolution Ultimatrix. Okay, everybody likes different aliens, so....... WHAT'S YOURS???? Imagine a pokemon Ben 10 Game!!! Looky what I made!! I call it the Omniuniverse, pretty cool hu? MOD Just got New Ben 10 guys! I love ben 10 it is my favorit it is so COOOOOOOOOOOOOOOOOOOOOOOOOOOOOL!!!!!!!!!!!!!!!!!!!!!!!!!!!!!!!!!!!!!!!!!!!!! Volcano: Die! One eyed creeps! Volcano: where do these guys come from? 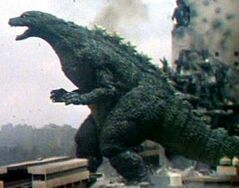 Godzilla Neo 2: Godzilla Jr.